Chromecast Vs Amazon Fire TV Stick Review : Which One Is The Best? ChromeCast Vs Amazon Fire TV Stick: Let The Battle For The Best Streaming Device Begin! Have you ever wished that your TV would turn itself on and play your favorite show by itself? Maybe you just came home from a long day at work or maybe you’re just waking up and haven’t had your coffee yet and all you want to do is go back to sleep. Because automation has been a driving factor in technological development, our lazy dreams of automatic televisions are a thing of the past. Google and Amazon have been releasing refreshes of the Amazon Fire TV stick and Chromecast devices for some time now. If you didn't know, the Fire TV stick and the Chromecast are devices that you plug into your TV that essentially turns it into a smart TV. The cool part about these devices being from Amazon and Google is that they tie in with the rest of your smart home. Originally these devices were meant to simply bring smart features to the average television, but as smart speakers like the Google Home ​​and Amazon Echo ​​were released and grew in popularity, the Chromecast and Fire TV stick have adapted many smart features that make them a must-have for smart home enthusiasts. So both of these devices are great, but there's just one problem. Which one of these devices is right for you? Well, The Wired Shopper has a complete breakdown of all of the features, pros, and cons so that you can really get a grasp for which one of these devices would best suit your smart home. The Chromecast is a small, circular device that dangles from a short HDMI cord. It plugs into the back of your TV and generally requires a power cord that you can either plug into your televisions USB port or the wall. The Chromecast was originally designed to be controlled by your smartphone via a feature called casting. Casting simply requires you to open the app that you want to play on your TV like Pandora or Hulu and then tap the casting icon that is generally on the top right of the screen. From there you just select your Chromecast and you're in business. Chromecast supports casting from many of your favorite apps like Hulu, Netflix, YouTube, Pandora and more. Because Google has a mind for simplicity, the Chromecast does a lot of things well and very easily. It fits discreetly behind most televisions and requires no remote other than the smartphone that you probably already have on you. Not only can you use your smartphone but the Chromecast also allows you to communicate with the Chromecast using your voice. It does this through either the Google Home, Google Home Mini ​​or Google Home Max. There are tons of practical voice features that make the Chromecast a pleasure to you and you may just forget that you ever needed a remote for your TV, to begin with. One great thing about the Chromecast is that it is set up with the Google Home app. This means that it ties into your smart home and doesn't require additional apps or space on your device. Set up us a breeze and once you set it up it can be controlled by any smartphone or voice just like the Google Home ​​can be operated by anyone. For a lot of families, owning a smart home can be daunting and setting up new gadgets can be a terrible experience. Because there are so many different companies that sell products for smart homes, from Philips Hue ​​to August, the setup can vary and you aren't always sure how it's going to go. Refreshingly, the Google Chromecast is pretty easy to get going and requires about zero maintenance. Simply plug the Chromecast into the TV and it will prompt you to download and open the Google Home app as well as display a code to use that helps you verify that you are connecting to the right device. Once you have the device setup you can choose which room it belongs to and assign it a name so that you can control it with your Google Home ​​and begin performing voice commands. The best thing about the Chromecast, in my opinion, is the fact that you can use your smartphone to stream nearly any media app to your TV just as easy as you would play it on your phone. That's not all that your phone can do either. You can control the volume with your smartphone, you can play, pause, fast forward and rewind with your Android or iOS device. The experience is so flawless that even if streaming with your mobile device you can still control the show through your Chromecast device. That means that you can be casting Netflix from your phone and still tell the Google Home ​​to pause the show. Tab casting, another unique feature for the Chromecast, is a great feature that basically allows you to use your television as a monitor for your laptop or desktop. Up in the top right corner of your Chrome browser are three dots that open Chrome's settings. Just click cast from that screen and you will be able to cast your chrome browser to the TV just like Netflix on your phone. This feature is pretty versatile in that you can use it for work or for play. You can stream media from your browser, read articles and even use it as a larger monitor for type work. As mentioned previously, the Chromecast is compatible with Google Home. This pairing extends the Chromecast's functionality in a few ways. firstly, if you have an HDMI CEC television, you are able to control the TV itself with your Google Home. You are able to turn the television on and off and change the volume, meaning that you could tell your Google Home to play Stranger Things on Netflix and even if your TV is off, it will still turn on and play the show. From there if it gets too loud you can tell Google to turn the volume down and it will. Are you into security? Google Home and Chromecast have the perfect solution. With Google Home, a Chromecast, and a camera like Arlo, you are able to view your camera on your TV just by asking Google to display the camera to the Chromecast. This can be done from any room, so whether you are watching TV in the living room or laying down for bed, you will always be able to check who is at the door or on what is happening outside. By now you may be thinking, "wow this is the perfect device for my smart home." If you're the average consumer that is looking for a whole home solution, Google Home and Chromecast are great options. For some people, however, there may be some additional things to consider before purchasing. The Chromecast, while small compared to most electronics, is pretty large compared to goes-behind-your-tv standards. It can be a tight fit depending on your HDMI situation. Additional to the general size of the Chromecast, you may need to use the included micro USB charger to power it via either AC or a free USB port on your TV. If there's one thing that I hate in devices, it's built-in cables. They aren't replaceable if something happens to one end and if the cable dies, the devices dies with it. I've avoided lots of things that I'd normally buy just because they have flimsy looking cables that are built into the device. Portable batteries are a prime example. To Google's credit, the cord is incredibly durable feeling and honestly, your Chromecast probably isn't going to be banging around attached to your TV. The Chromecast is a really good device all around, but it's not going to be perfect for everybody. The Chromecast also serves as a primary television source for many people and if you aren't tech savvy or good with a smartphone, this device might present a learning curve. When compared with devices like the Amazon Firestick, which has a remote included, there is no seamless transition from using a remote to control your cable service to controlling your favorite apps like Netflix and Hulu. Since more and more people are cutting cable and switching to apps, having an optional remote would be nice to see. 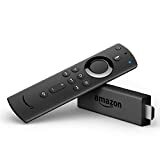 The Amazon Fire TV stick is a device similar to the Chromecast in that you plug it into the HDMI port on the back of your TV and it makes a standard TV smart. 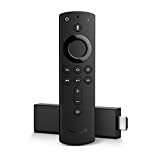 Also like the Chromecast, the Firestick also connects you to the rest of your smart home for added voice functionality or input from the included remote. 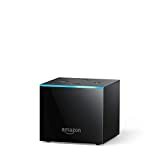 The remote, called the Alexa voice remote, functions as both a standard remote for switching back and forth through apps and also is capable of voice input like an Amazon Echo. The Amazon Firestick is pretty much the only true competitor to the Google Chromecast in that it offers both functions as an entertainment and media device as well as a portal to some smart home features. From its simple setup, voice remote features and the ability to view your security cameras, there's a lot to love with the Firestick. Setup on the Amazon Firestick is pretty simple. YOu'll need to insert the batteries into the Alexa remote as the entire setup takes place on the TV, unlike the Chromecast. After a few prompts to connect to your WiFi and log into your Amazon account you will be ready to go. You will be introduced to the Firestick UI and that's it, you're ready to stream. As time progresses and the way we watch TV, as well as the quality of the TVs we watch changes, pretty much one thing has stayed the same. Since they were introduced, remotes have pretty much been the go-to way to interact with our TVs. Sure the way that remotes operate have changed through the years. Some remotes have a billion buttons. Some have just a couple of buttons, like the Alexa remote or the Apple TV remote. Logitech has even introduced the Harmony remote, which has a touchscreen and more. Having a remote to control your Firestick means that there is less of a learning curve for people who are more technologically challenged. The elderly in your home or those who aren't really into the whole smart TV deal won't have extra stuff that they have to learn and everything is much easier for those who might not have smartphones. The Alexa remote also has the Alexa voice assistant built-in, meaning that you can ask her to open apps, play shows and more. The Chromecast is almost exclusively controlled through your smartphone, so it makes sense that the process is intuitive. The Firestick also supports streaming through a smartphone, although in a more awkward capacity. Through your smartphone, you are able to mirror your screen to your TV, displaying whatever content you have open. While it's definitely not as feature rich or intuitive as Chromecast is with tab casting and streaming individual apps while still allowing you to do whatever you want on your phone, the Firestick's mirroring feature is still a nice addition. Like the Chromecast, the Firestick is tied to your smart home, meaning that it has a few cool tricks up its sleeve, like the ability to display your security camera on your TV. Using either the Alexa remote or your Echo device, you are able to ask Alexa to bring up your camera.Your camera will then display whatever it's looking at onto your screen. This will allow you to see what's going on whether you're in the living room or any other room with a Firestick. While the Firestick is cool and convenient in many ways, it also comes with its own flaws. It has solid hardware but the downfall of the Firestick lies in its software. One of the problems that I've always had with the Amazon ecosystem is that it both relies on, and competes with Google. Fire tablets, for example, use Android. They also restrict the operating system pretty heavily so that instead of the true Android ecosystem, you are locked into Amazon apps and unless you are tech-savvy, there's not much you can do about it. You won't find the Play store on Fire devices, nor will you find several other common features of Android. The Firestick is no different. The Firestick is no different. While it runs Android, it has an unfamiliar UI for those who have never seen an Amazon product before. The Chromecast as an interface that seamlessly integrates with the apps that you already use every day. It's a simple design that makes it intuitive to use and it disappears into the background where you don't have to think about it. Compared to Chromecast is lacking. The user interface of the Firestick is slow and confusing and the way that they organize apps is not very customizable. If you have a smart home, it's only natural that at some point you'd look into integrating your TV. The two best options right now by far are the Firestick and the Chromecast, so which one should you get? Well, there are two ways to answer this question. Firstly, you have to take into account which system you are bought into. If you are invested into a Google system, for example, a Firestick isn't going to have all of the functions that it would with an Amazon ecosystem. Second, you have to consider the functionality of the device itself. The Chromecast is excellent, even without the Google Home the Chromecast has a bunch of great features, it integrates with the apps that you already use, making it simple for anyone who already uses media apps like Netflix. The Amazon Firestick has a great remote with Alexa built-in. It's really easy to use although it can be frustrating to use the interface and it doesn't have as many features overall as the Chromecast. If you don't have a system yet, the Chromecast would make Google a good ecosystem to get into if you are really into media. If you already have an amazo​​​​n echo, I'd go with the Chromecast unless you primarily want to use it with your voice. Now it's your turn. Do you have a Chromecast or Firestick? If so, make your case in the comments.